Improved crop modelling for supporting policy design on climate change impacts, adaptation and mitigation — CropM in MACSUR | EISA e.V. The second MACSUR policy brief, produced by the CropM coordination team, has been published. 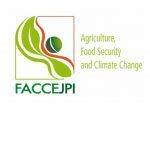 It focuses on the improvements in crop modelling that now allow conducting a comprehensive assessment of climate change impacts, and identifying adaptation and mitigation options for Europe at multiple scales. The work also provides the background for further significant contributions to IPCC assessment reports. The policy brief is available from the MACSUR web site and is published as FACCE MACSUR Reports 9: H0.3-D2.